• A Lack of Evening Crowds: A once bustling hang-out with the evening crowd in the 80s and 90s has turned into business lunches and earlier dinners. We needed to give the old crowd a reason to come back, as well as invite new customers to come into the evenings. 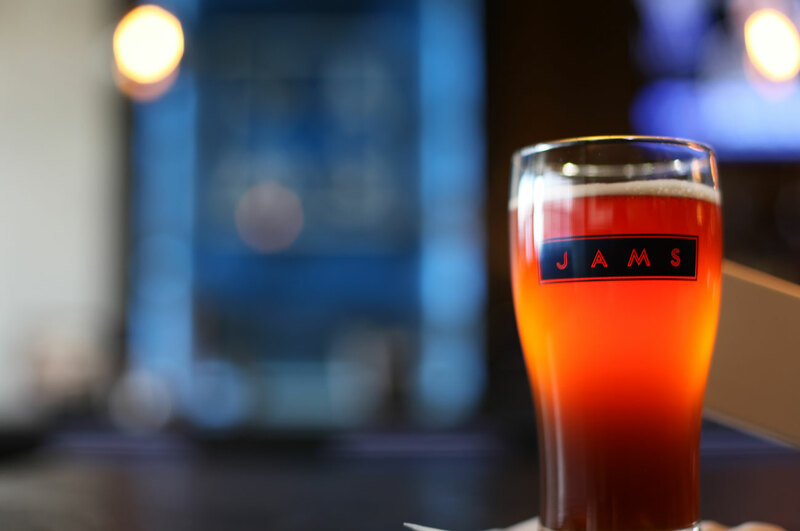 • Traditions: The regulars have made it a tradition to come to Jams… special occasions, lunch meetings, etc. We needed to help the new customers get into that habit. 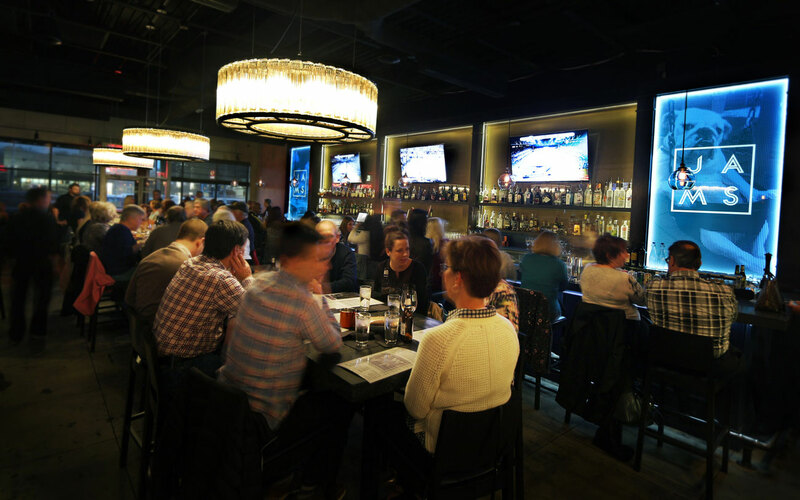 • The Regulars: While increasing the evening crowd with new guests, we had to be careful to make sure the current regulars were still the respected regulars. • The Mural: There’s an incredible mural that people either loved or hated. Either way, it’s an easy way to remember Jams, and we need to figure out a way to let it live on in some capacity. We always start with this meeting to gain important insight. We talked through updated visual direction, dove deep into the challenges and confirmed their differentiators. Through the Leadership Meeting, we narrowed it down to 3 words to help shape the revised brand. • Cool: To represent the exciting and lively atmosphere. • Welcoming: Cool balanced with welcoming will create a desirable place for people to hang out. • Staple: Everything Jams does should be in terms of respecting the past and leaving a legacy. The logo was made to be flexible – vertical, horizontal and square – becoming it’s own mark. Unlike the old cursive logo, this one will be more timeless. 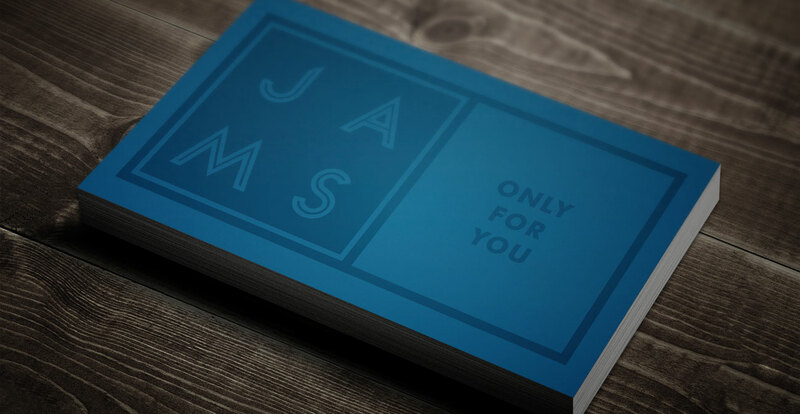 The custom typeface within the logo is a combination of modern and classy – representative of the regulars at Jams. 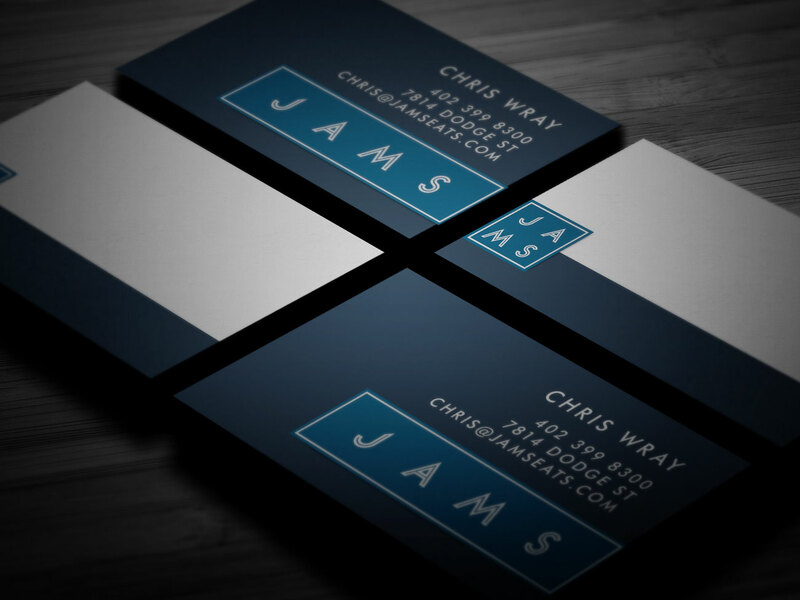 We can also use images within the logo to set the mood and showcase the legacy of Jams throughout the years. 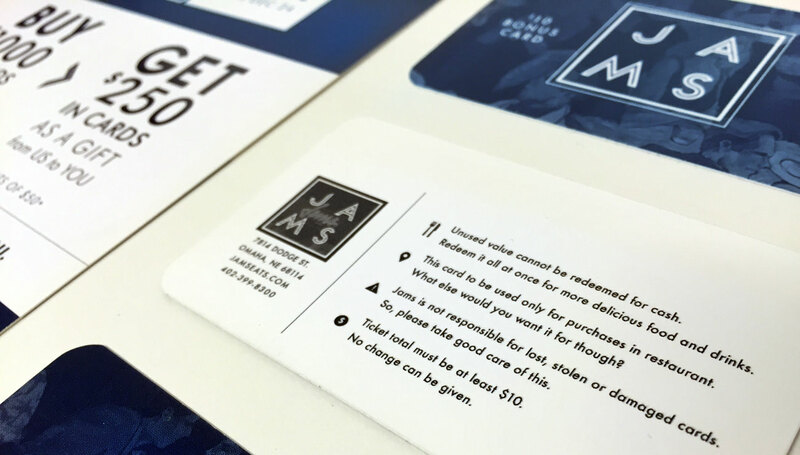 The tone of voice for Jams is well-represented on the back of the bonus cards… straight forward, laid back and a little humorous. 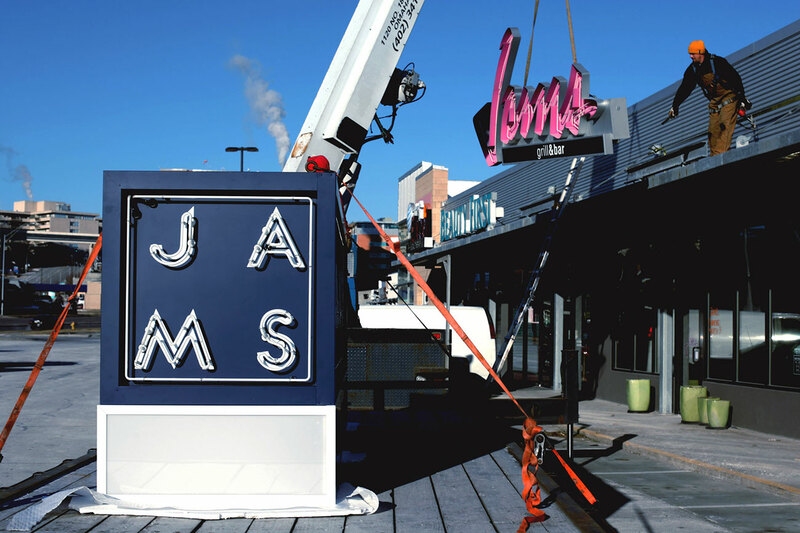 Jams is right on a main street, so we designed a sign to be the first one you can read as you are approaching the area. The sign also showcases the different layouts of the logo to help familiarize the guests of the logo variations. The vinyl hours set the tone for the lively atmosphere. 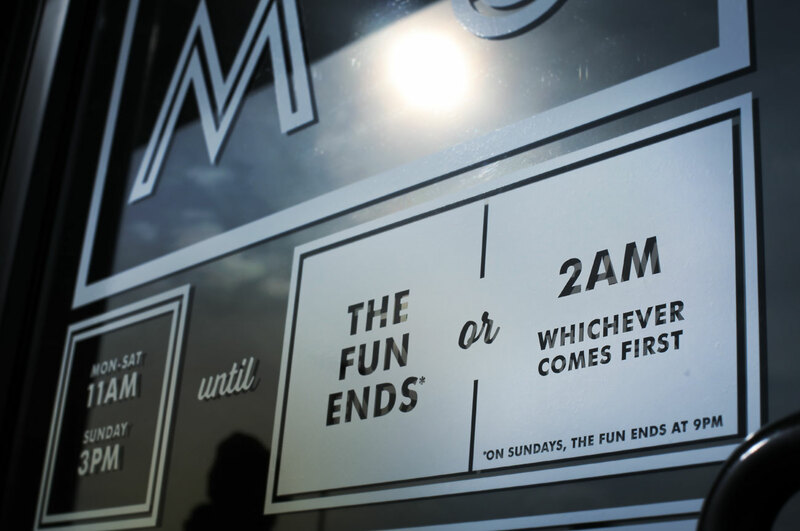 It also subtly shows that this is a fun evening spot, without added noise of advertising it. To help make regulars still feel welcomed, we created a secret menu and wine card just for them. 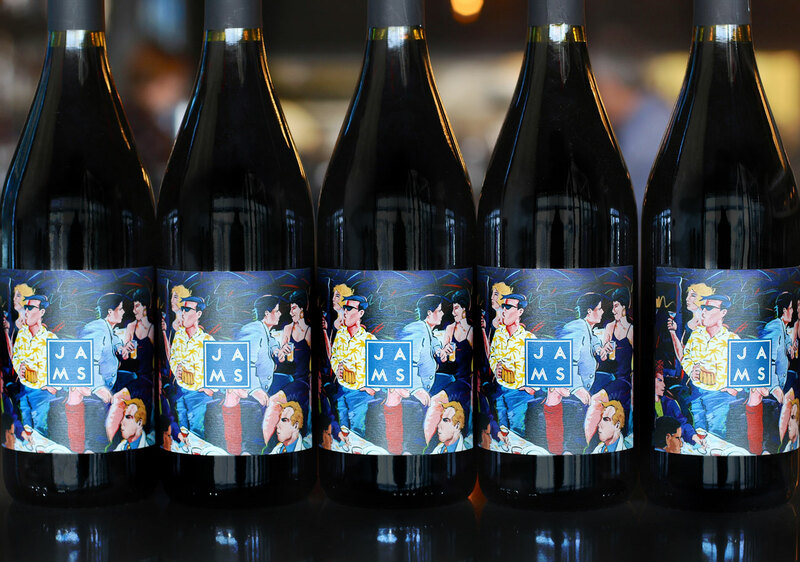 To honor the mural (which they auctioned off for charity), we had a custom wine label created for their house wine. If you collect all of the wine bottles (4 each year), you can recreate the mural! Looking at the Welcoming and Cool attributes, the owners thought a funny dog photo could help represent that vibe. Using carefully curated (and appropriately licensed) vintage photographs from the Omaha World-Herald archives, we created six unique, hand-crafted pieces of art. The images selected represented some of Omaha’s greatest legacies, like Joslyn Castle, the Caniglia’s Family restaurants, and the original Jams neon sign. Wooden boxes were built from birch wood, which the photographs were wheat pasted onto. 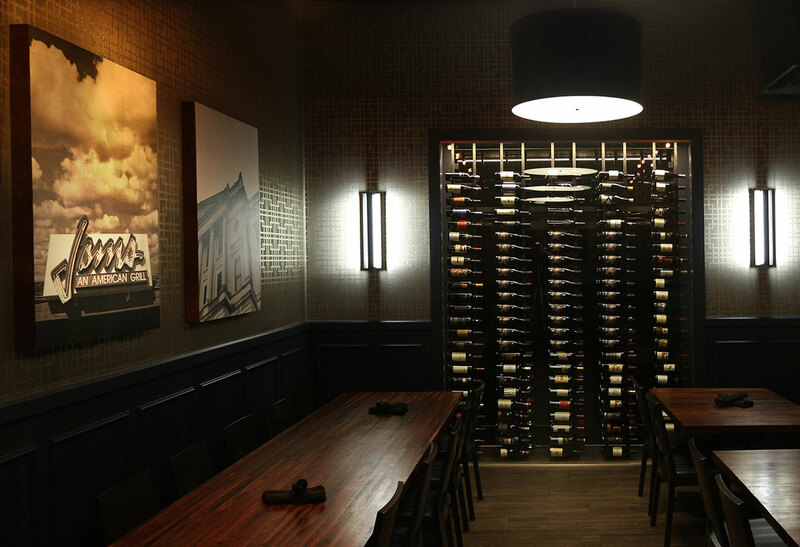 Classic techniques for a classic look in a restaurant that is classically Omaha. Business cards with white space for the managers to write custom notes for their guests. It’s been fun working on a restaurant that’s been such a staple within the Omaha community. 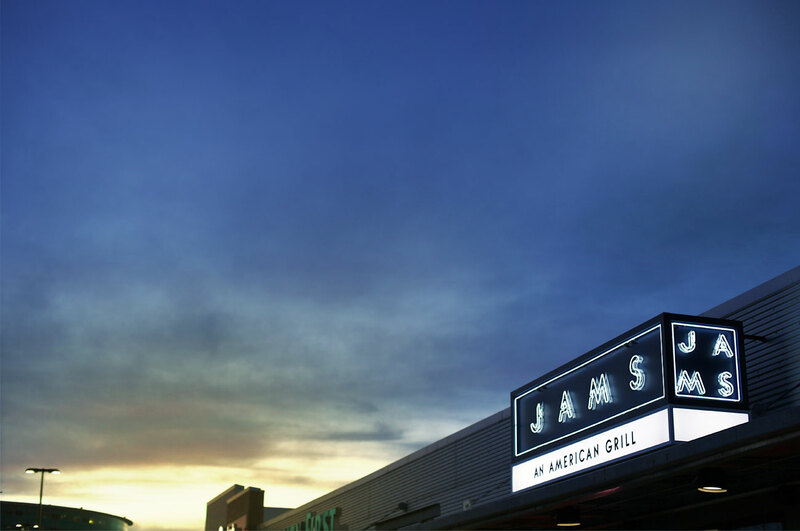 Our intention was to always be respectful of the past, and create opportunities for the future at Jams.